Mahogany color. Aromas of steamed milk, balsamic dressed endive, and malted milk ball with a slightly chewy, crisp, effervescent, bone-dry light body and a polished, appealing, medium-length dark chocolate covered espresso bean, cigar smoke, and leather patina finish. A very dry, chewy, table-friendly dark lager that hits all the notes; very, very drinkable. Bottom Line: A very dry, chewy, table-friendly dark lager that hits all the notes; very, very drinkable. Dark lagers (also known as Dunkel or dunkel-style lagers) range in color from dark brown to black and range in alcohol from 4.5-5.5%. 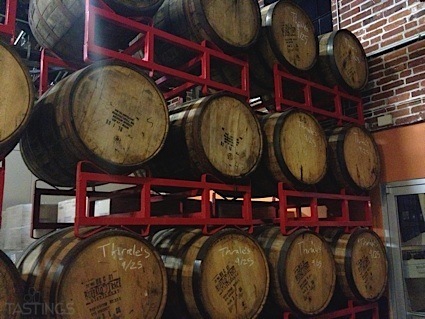 At their best, these beers combine the dryish chocolate or licorice notes associated with the use of dark roasted malts and the roundness and crispness of a lager. Munich dunkel style lagers are also included in this category. These beers tend to be fuller-bodied with a hint of bready sweetness to the palate, a characteristic of the typical Bavarian malts used. Noteworthy examples of this style include: Full Sail Session Black Premium Dark Lager, Hofbräu Dunkel and MOA Noir Dark. 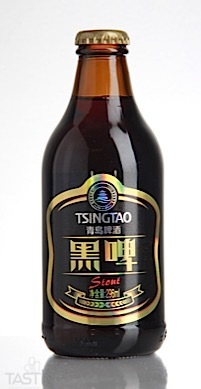 Tsingtao Brewing Co. 12 P Dark Lager rating was calculated by tastings.com to be 90 points out of 100 on 8/31/2018. Please note that MSRP may have changed since the date of our review.